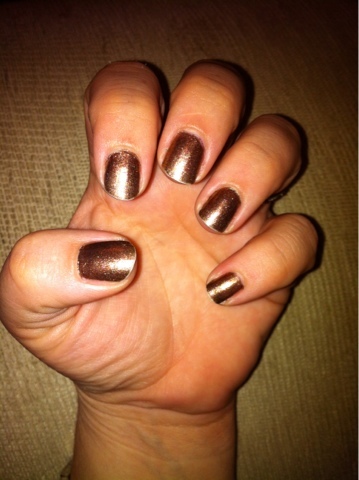 This is a polish from the OPI Muppets collection. I had to have it as soon as I saw it. Got lucky enough to get the last one in my Ulta. It is micro-fine glitter/shimmers in a brown jelly base. 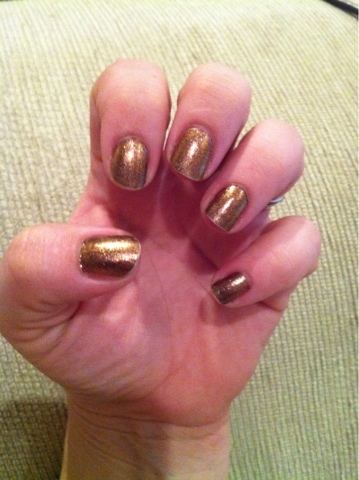 The glitters are golden brown with a flash of fuchsia. It is also highly reflective. I was in a restaurant that had lime green walls at lunch today and there were flashes of green in it too. It is a gorgeous color. Unfortunately my iPhone pics don’t capture it’s complexity but I assure you that it is special.